ERMES (Electric Regularized Maxwell Equations with Singularities) is a finite element code in frequency domain which implements in C++ a simplified version of the weighted regularized Maxwell equation method [Formulation]. This finite element formulation produces well-conditioned matrices which can be solved efficiently with low-memory consuming iterative methods [Performance]. Also, thanks to the null kernel of its differential operator, it can operate indistinctly in the quasi-static and the high frequency regimens. Therefore, ERMES is a versatile tool which can be used in a wide variety of situations. For instance, it has been applied to microwave engineering [Microwaves], specific absorption rate computations [SAR-1] [SAR-2] [SAR-3], electromagnetic compatibility [EMC-1] [EMC-2] [EMC-3] and electromagnetic forming [EMF-1] [EMF-2]. The current version of ERMES (version 7.0) is multi-processor (OpenMP) and it runs on Microsoft Windows 32-bits and 64-bits. ERMES has a user-friendly interface created with Tcl/Tk and integrated in the commercial software GiD [GiD]. GiD is employed for geometrical modeling, data input, meshing and visualization of results [GiD-ERMES]. The graphical user interface (GUI) has been tested successfully for GiD versions 10 and 11. ERMES for MS Windows 32 and 64 bits: [ERMES v7x32], [ERMES v7x64]. ERMES user manual: [ERMES user manual]. Two basic examples to start with ERMES: [ERMES examples]. The C++ source code of ERMES: [ERMES source code]. 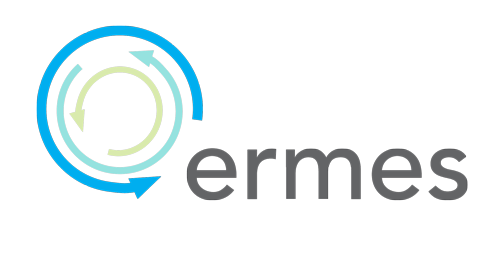 ERMES (Electric Regularized Maxwell Equations with Singularities) is a finite element code in frequency domain which implements in C++ a simplified version of the weighted regularized Maxwell equation method.